The death of Kathleen Peterson has gripped viewers all over again with true crime series The Staircase making amateur detectives of us all. 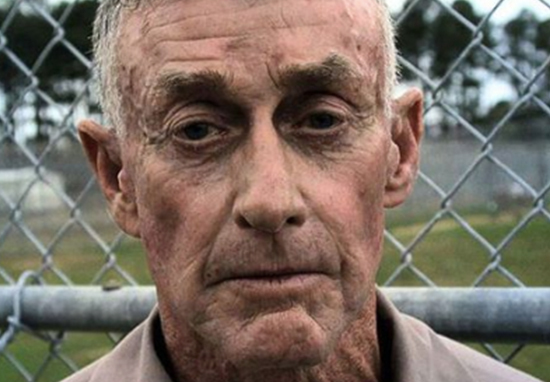 Throughout 13 episodes, the audience is invited to take a fresh look at the case of Michael Peterson, the novelist charged with the murder of his wife Kathleen at their North Carolina mansion in 2001. We saw the first eight episodes back in 2004, but 14 years on and true crime buffs are still racking their brains over this case where none of the pieces quite seem to fit. One of the most compelling – and unusual – theories is the ‘Owl Theory’, which has absolutely convinced many viewers of Peterson’s innocence. I watched "The Staircase" on Netflix…and I STILL DONT KNOW IF HE DID IT OR NOT! What do you think? If anyone is watching The Staircase on Netflix (when you’re done) you have GOT to look up “The Owl Theory” .. Literally flipped everything I thought I knew upside down ? On the night of her death – December, 9, 2001 – Peterson has claimed the couple had sat together outdoors, drinking wine by the pool. He claimed the last time he saw his wife alive was when she headed back indoors with the intention of going to bed. Peterson had said he stayed by the pool and continued to drink, and when he eventually came in – at 2:40 – he found Kathleen at the foot of the staircase. 48-year-old Kathleen had suffered grave injuries, including fractured thyroid neck cartilage and multiple lacerations to the top and back of her head. She died from blood loss approximately 90 minutes to two hours after she sustained the injuries. Durham County district attorney James Hardin Jr. initially asserted Peterson had bludgeoned his wife to death with a blow poke. However, defence experts claimed the blood-spatter patterns were inconsistent with such a scenario. The blow poke in question was ultimately found and ruled out as being the murder weapon. Peterson and his legal representation suggested Kathleen had suffered a fatal fall down the staircase. However, the head lacerations appeared too severe and, despite expert testimony in court, the amount of blood present at the scene still raises questions. The Petersons’ next door neighbour – lawyer Larry Pollard – had another idea entirely, and has suggested it could have been an owl which caused Kathleen’s injuries and subsequent death. i watched all of "the staircase" on netflix and im usually the biggest "they're guilty" guy but i dont think the guy did it. The #staircase owl defense is one of the most interesting crime theories of all time. At first glance, this theory may appear absurd. However, tiny owl feathers were indeed found in Kathleen’s hand, alongside hair which had been ripped from the roots. Could it be she had been desperately trying to disentangle the owl’s talons from her hair? Pollard proposed Kathleen had been going back into her house when an owl flew down and dug its talons into her head, leaving a notable ‘trident pattern’. Trying to escape the bird, she supposedly went inside before attempting to go upstairs. It was at this point, she could’ve slipped and fell backwards. The first time I heard about the owl theory, I really laughed. But when I started looking at it and I met with Larry Pollard … It might be the more plausible explanation. How can you explain all the cuts and lacerations and the absence of fractures? When you start thinking about the owl theory, and the kind of injuries she had, you start thinking maybe there is something there. Just wondering — are you aware of the owl attack theory re The Staircase (Netflix)? Just reading about the owl theory in the Staircase murder (see Netflix) and wish that would have come into the doc or to trial. It's fascinating. I mean what if an owl did it?! Furthermore, NBC’s Dateline has previously interviewed a man who lived near the Peterson family who had suffered a very vicious owl attack. The gruesome incident – which was captured with surveillance cameras – left the man with extensive bleeding. If any of you guys watched The Staircase on Netflix…plz look up the owl theory bc mind blown ????? Couldn’t sleep after binge watching The Staircase on Netflix. I read about the owl theory and EVERYTHING started making sense! ?? Whether you believe this theory holds water or not, The Staircase is absolutely essential viewing for anyone interested in true crime and the American justice system. Fortunately for Michael Peterson, he needn’t to have relied on the ‘Owl Theory’ in court. In 2011, he was granted a right to a new trial after a key witness was found to have perjured himself in many other cases, as well as Peterson’s. Peterson accepted an Alford plea – pleading guilty but admitting no wrongdoing – and with eight years served he was a free man. With no need for help from the owl to save him doing any more bird. The Real Killer in The Staircase Might Be … an Owl?